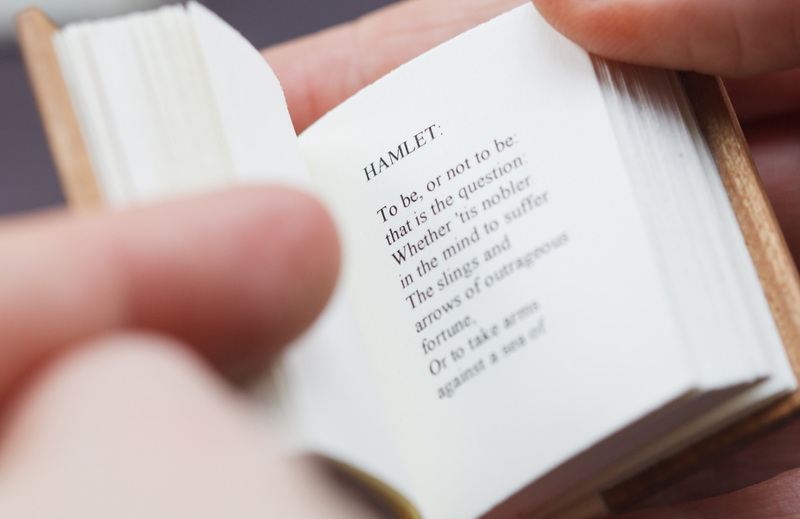 The University of Virginia presents an exhibition to celebrate the vibrant, complex, and sometimes contentious history of bringing Shakespeare's works into print. From early editions to contemporary artists' books, and from massive folios to microminiature editions, the exhibition offers visitors a glimpse into the varied riches of the Albert and Shirley Small Special Collections Library's Shakespeare collections. Installed in our main gallery, the exhibition includes over 100 items. Even though this exhibition has ended, Special Collections offers tours for classes or groups. Private tours can be tailored based on your group's needs. Enjoy an image gallery of selected items in the exhibition, from Alexander Pope's 1725 "corrected" edition of Shakespeare to R&J: the text msg edition, book artist John Hastings' 2008 take on Romeo and Juliet. 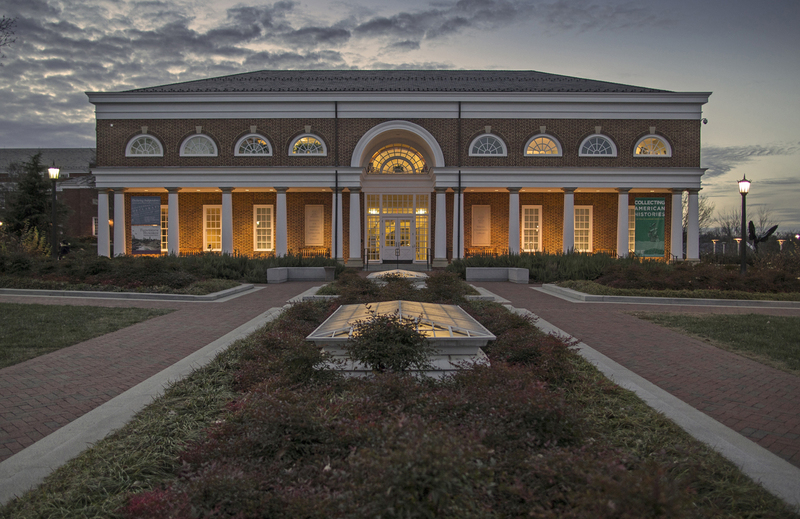 "Shakespeare by the Book" was produced by the Harrison-Small Research Center, University of Virginia Library. Unless otherwise indicated, items on display are from the holdings of the Albert and Shirley Small Special Collections Library. 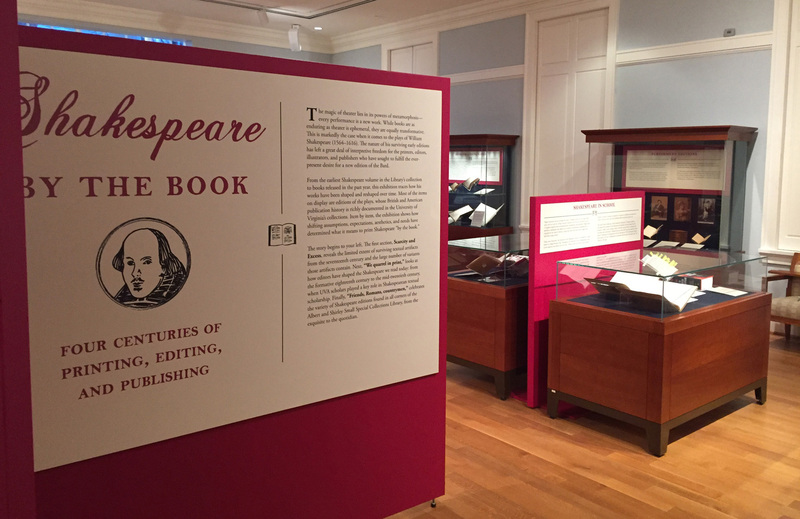 From October 1-26, 2016, some items in this exhibition will be relocated to the First Floor Gallery to make room for the visiting Folger Shakespeare Library exhibition, First Folio! The Book That Gave Us Shakespeare. These items will be returned to the gallery upon the Folio's departure. Special thanks to Ralph Cohen, Victor Luftig, Katharine Maus, and David Vander Meulen, who spearheaded the UVA English Department's successful grant application to the American Library Association to bring a visiting First Folio to UVA. Please complete the form below to request a guided tour. We are sorry, but the status of the form submission is unknown. Please try again later. Thank you.